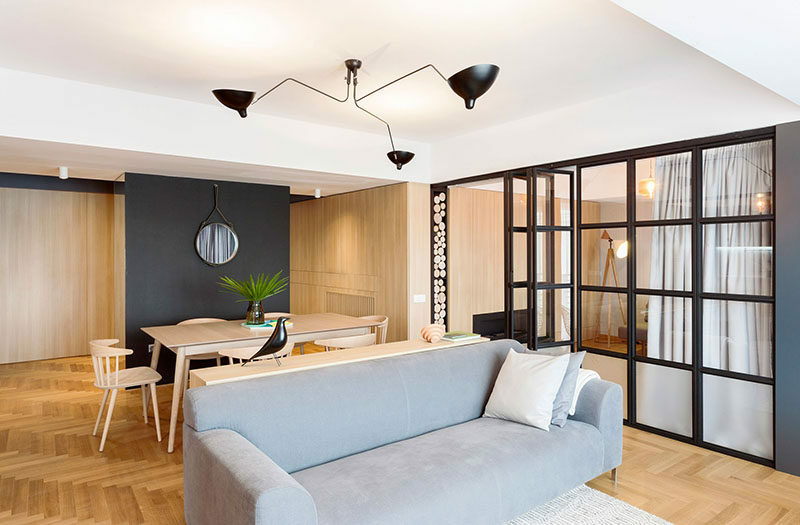 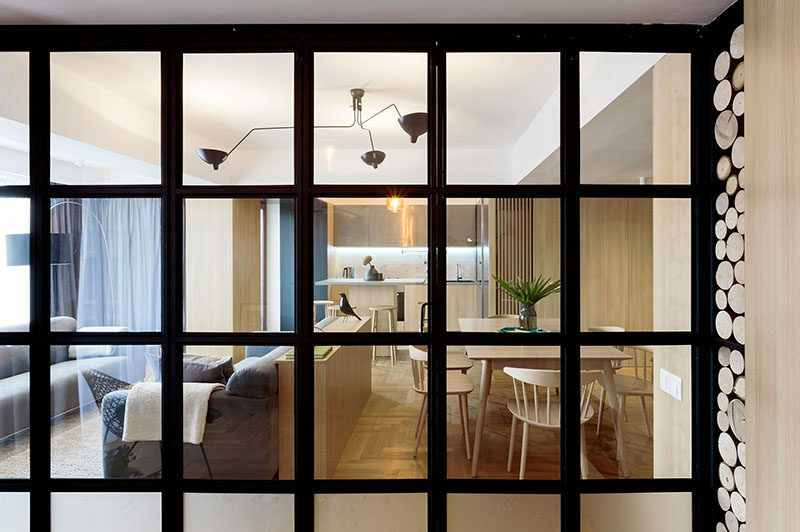 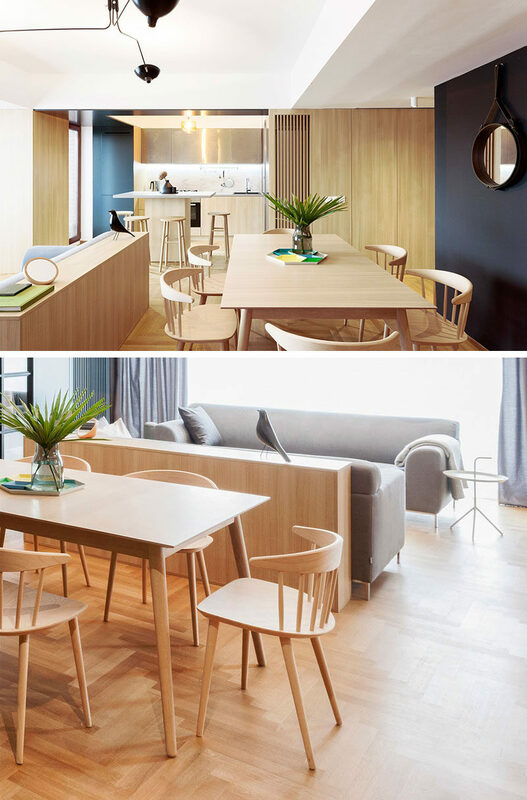 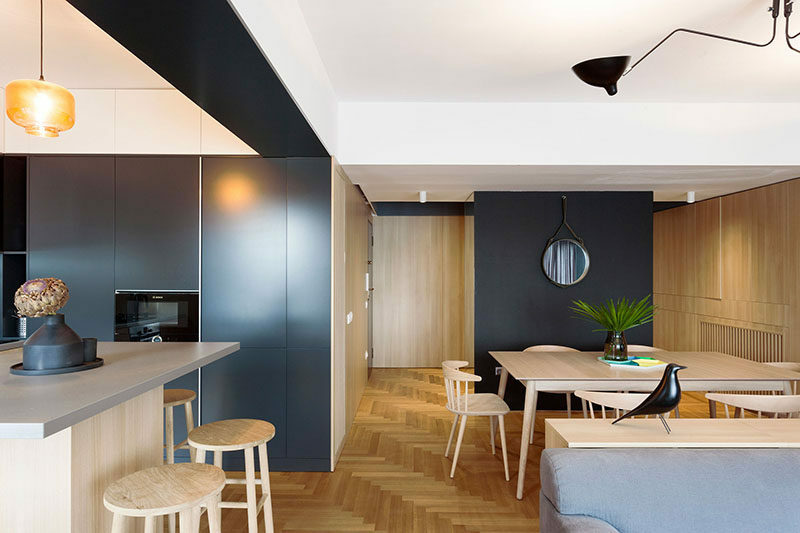 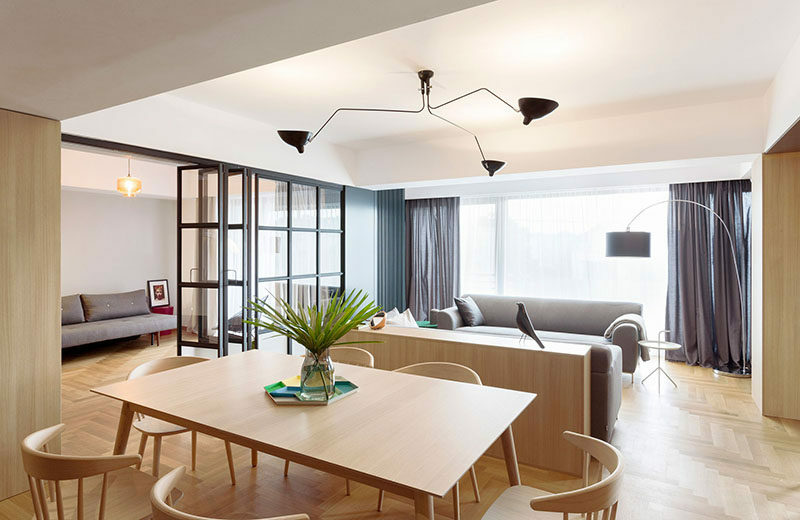 This apartment in Bucharest, Romania, designed by Rosu-Ciocodeica, uses a simple but effective technique for dividing the living room from the dining room. 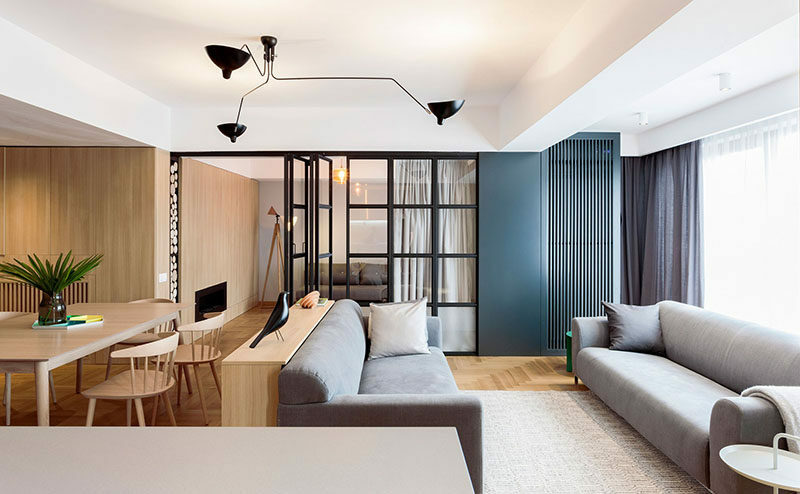 A small wall was built behind the sofa to act as a room divider. 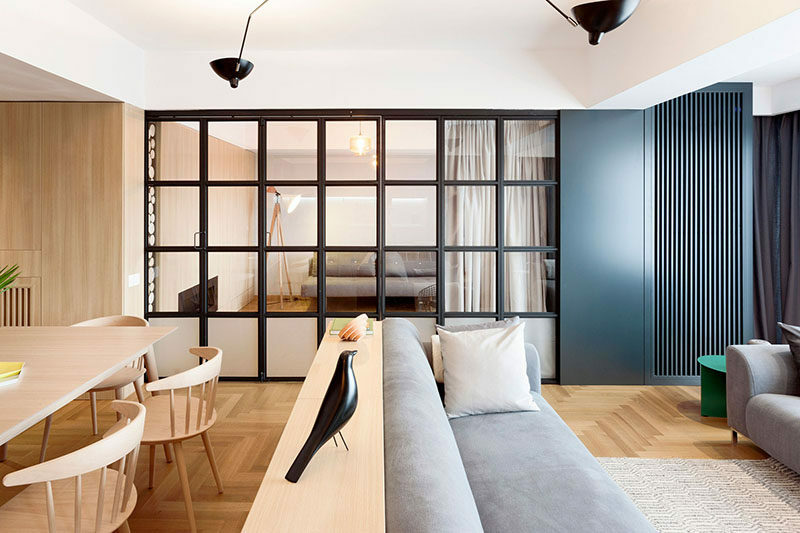 The height of the small wall is the same as the sofa, making it a predictable place to keep some decor items, like the bird sculpture they have, or some books.